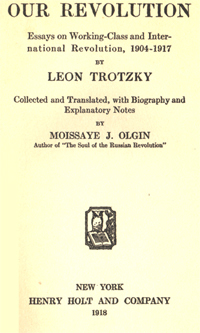 Written: End 1904 - March 1917 (preface, notes and biography written in 1918). Publisher: Henry Holt and Co, New York, 1918. Online Version: Marxists Internet Archive, 1999 & 2000. HTML Markup: Alphonsos Pangas and David Walters.